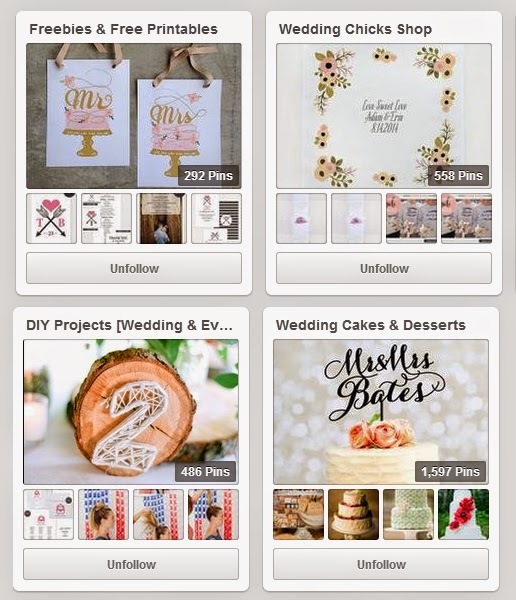 Wedding chicks have almost 4 million Pinterest followers and it's easy to see why. They literally have a board for everything! They've even got a board for free wedding printables, which are really useful if you fancy a bit of DIY. Wedding Chicks also have a shop, and a board dedicated to everything they stock! My favourite board of theirs is the DIY projects. I'm doing a few DIY bits and bobs for my wedding, so this was a fab place to not only get ideas, but to see how they are done. It's amazing to see some gorgeous things that are actually so easy to recreate for your big day! 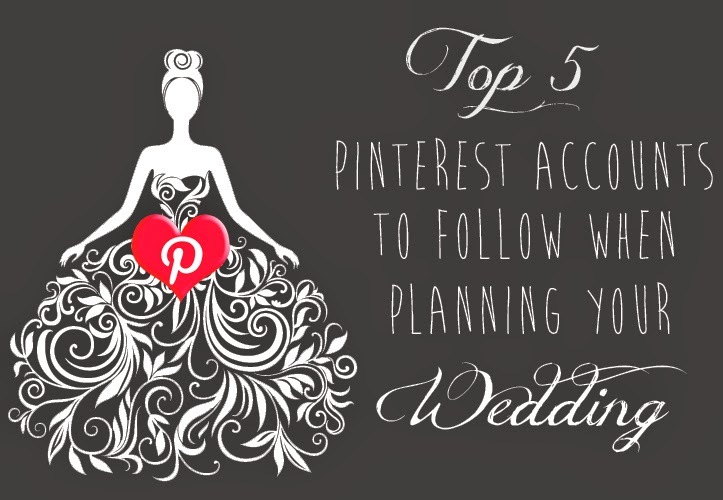 Click here to follow Wedding Chicks on Pinterest. The complete fairy tale is such a dream big day for so many brides, and the Disney Weddings Pinterest account has so many amazing and easy ideas so you can create your very own fairy tale! They have boutique boards filled with Disney Princess inspired wedding dress, gorgeous decor ideas to kit your venue out just like a scene from a Disney film and the Disney wedding cakes are just so cute! 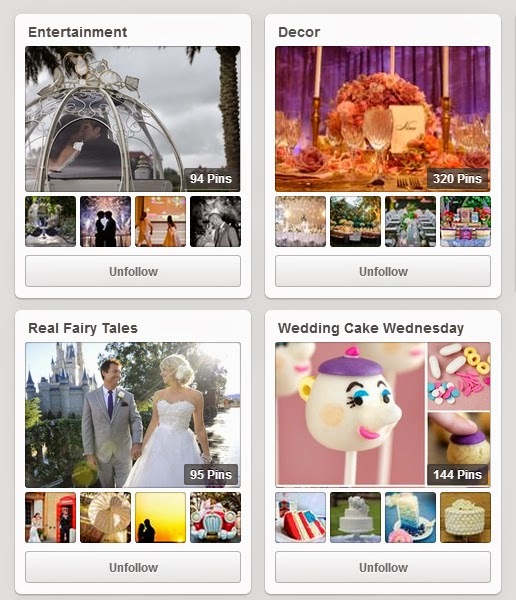 My favourite board on the Disney Weddings Pinterest is the wedding photography inspiration board. It has lots of lovely ideas to pass onto your photographer to get the perfect fairy tale snaps on the day! Click here to follow the Disney Wedding Pinterest account. There is not one aspect of a wedding that The Bridal Detective hasn't covered on her Pinterest board! From bridesmaids outfits to beauty and hair, all the way down to colour palettes, aisle decor and so many other gorgeous details! The tips and ideas board is definitely my favourite one. It's already given me some lovely ideas for bridesmaids gifts! 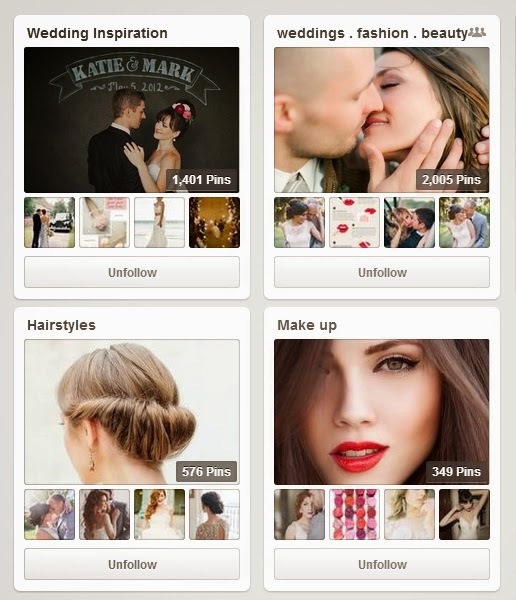 Click here to follow The Bridal Detective on Pinterest. One Fab Day is another of my absolute go-to wedding Pinterest boards. 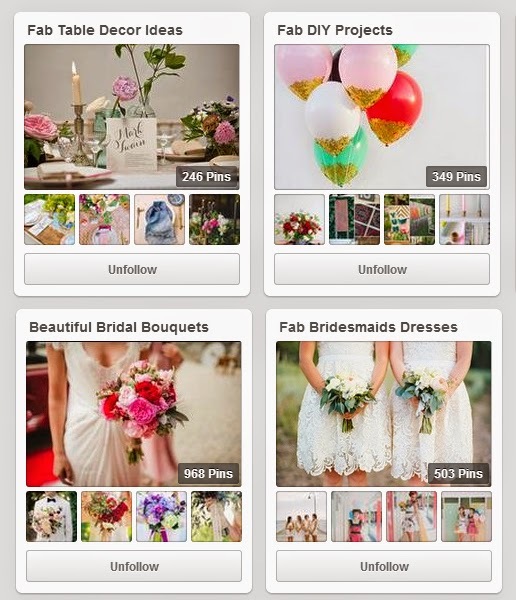 I've got some great inspiration from their bouquet pins and even some lovely real weddings. They also have some lovely alternatives to wedding dresses, such as a shorter dress style, or even bridal suits and jumpsuits, which is such a unique idea! The detail boards are my favourite on One Fab Day. They have some lovely pins for table decor, reception decorations, and table numbers, which are absolutely gorgeous! Click here to follow One Fab Day on Pinterest. Bridal Musings is the accompanying Pinterest account for one of my favourite wedding blogs at the moment and they keep their 3.5 million Pinterest followers happy with absolutely loads of gorgeous and unique wedding ideas. Their makeup and hair inspiration boards are quite high up on their lists, and filled some some stunning examples, most of which I have already been trying out at home! Bridal Musings also have an Engagement shoot ideas board which is fab for me because I will be having mine soon, now that I have found my photographer! 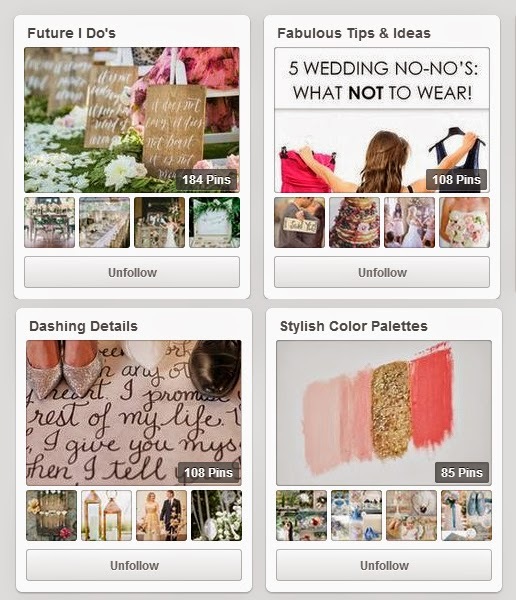 Click here to follow Bridal Musings on Pinterest. Click here to take a look at the Bridal Musings blog. How's your wedding planning going, do you have any other favourite wedding pinners? I'd love to hear about them in the comments! Thank you lovely :) Lots of your pins have helped my wedding plans, so thank you! stumbled across your page from hashtag on twitter. I am currently planning for my wedding and I am SO GLAD I came across this post. I love Pinterest. Wish I had used it to plan my wedding!